Are Drain Cleaner Products Bad for Your Drains? Home > Blog > Are Drain Cleaner Products Bad for Your Drains? Chemical drain cleaner products often serve as an easy and fast solution to a stubborn clog in many homes. Even though it is easy to grab a chemical product, pour it down the drain and wait, hoping that no clogs will ever form again, is it truly the best way to clear the drains at your home? These widely-advertised products can actually do more harm than good. Read on to find out why and discover some alternatives applied to deal with drain clogs. Lots of chemicals in commercial drain cleaners discharge toxic fumes that remain in the air even after the cleaner has gone down the drain. These fumes will get into your nose and eyes, irritating them and producing allergies. The drain cleaner products are harmful and fatal if accidentally swallowed, so always keep them out of reach of children at your home. Chemical drain cleaners will clear the clog but you’ll have to pay the cost – as a result of such regular cleaning your pipes will become weakened and damaged. The thing is that the main active ingredient in many drain cleaner products is hydrochloric acid that is a very aggressive chemical. It is used to dissolve the clog. The problem is that the chemical reaction inside your drains creates heat. Heat softens PVC pipes, as well as leads to corrosion of older metal pipes over time. Sometimes drain cleaners would not work. After you poured some amount of cleaner down your drain, it will have to sit there for some time. These chemicals can damage the pipes inside if they are not properly rinsed after. 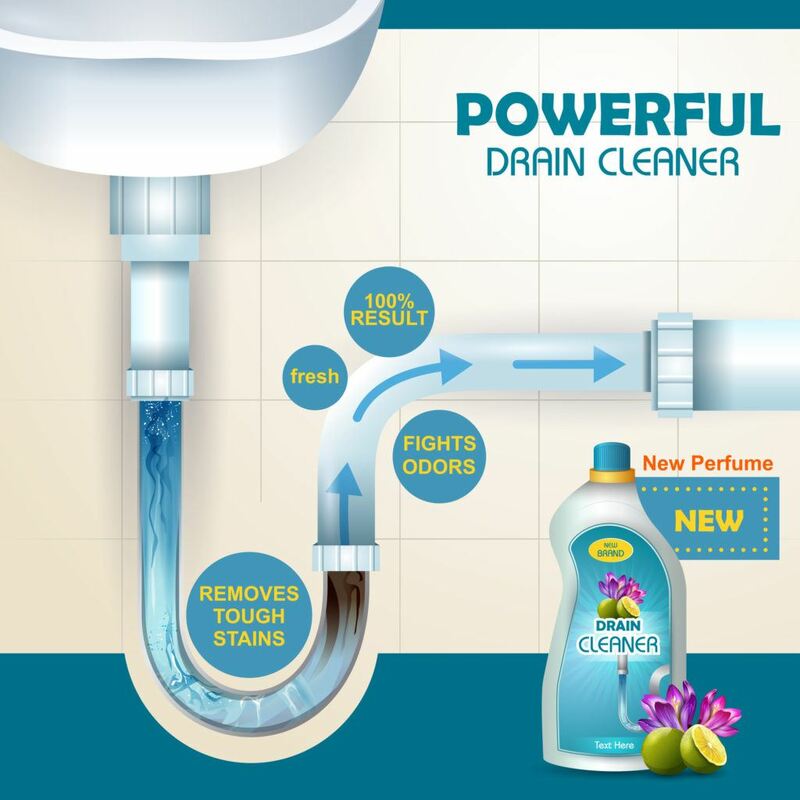 You might think that the clog was not dissolved because you didn’t add enough solution but as soon as you pour more drain cleaner down the pipe, the risk of harming the pipes is increased even further. 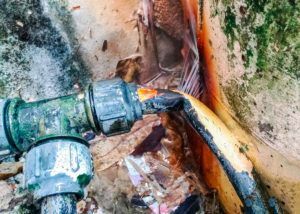 More than that, if the pipe ever bursts, you can actually get burnt by the chemicals that have been sitting in your drains. Drain cleaners usually come in plastic bottles. Some chemical residue will always be left inside this plastic bottle. When these bottles end up in a trash dump, that residue can harm the environment. 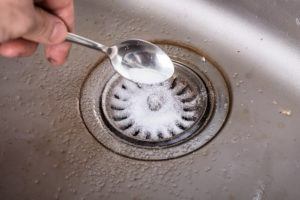 You might think that one bottle of drain cleaner that you used would not make much of a difference, but harsh chemical drain cleaners are used by millions of people throughout the United States. And all of those bottles are thrown into the trash. Such pollution won’t be evident right away but it will accumulate over time. Chemicals from drain cleaners also leave a residue on the sides of your pipes. Professional drain cleaner products each contain their own ingredients, and applying different cleaners on a regular basis will expose your plumbing to several chemicals. These chemicals can sometimes aggressively react with each other and damage your plumbing. There are many alternatives to chemical drain cleaners on the market, including homemade drain cleaners (usually they are made of soda and vinegar, the various recipes can be found throughout the internet), and such tools as bent wire hanger or plumber’s auger. If all the mentioned methods were not successful, the best course of action in this case would be to contact a professional plumber. At Brea/Orange County Plumbing Heating & Air Conditioning we help homeowners to eliminate tough clogs. We have the most powerful tools and top-notch methods for unblocking drains and removing clogs stuck in the pipes of your house. Contact us for more information!